*Roughly 150 strands for a full head. Hair 100 Deep Wave Pre Bonded Hair Extensions Auburn are made from 100% human hair and bonded with keratin, the safest natural bonding agent. 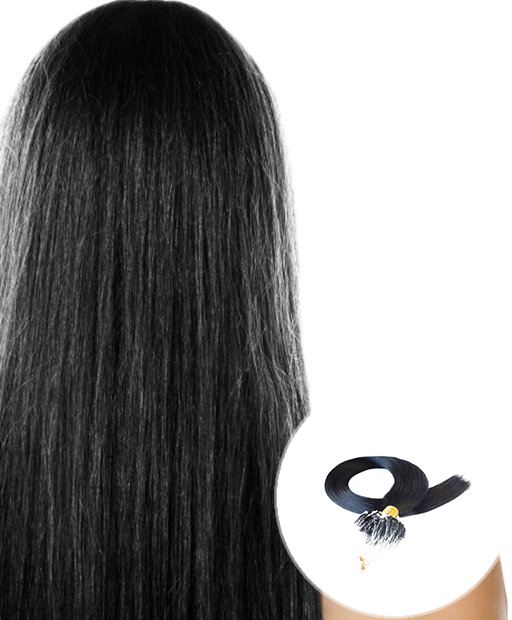 It can be easily remove without any damage to your own hair. Also, Hair 100 provides different types of Pre Bonded Hair Extensions including silky straight, body wave and deep wave. 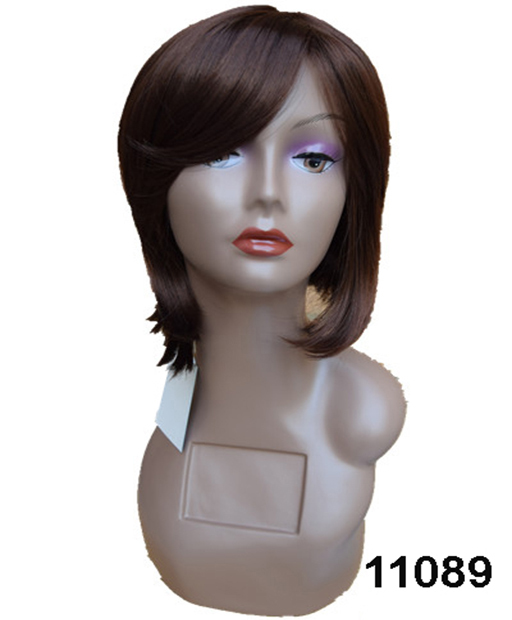 In addition, Tens of colour options give you more chance to choose your favorite hair. How many strands do I need for a full head? Roughly 150 strands for a full head, it depends. 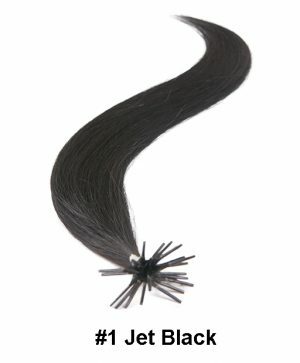 If you need more hair, you may choose the quantity needed from above strands option bar. How to apply and remove Nail Tip Pre Bonded Hair Extensions? As the professional skill may be involved, we suggest you have it done by a professional hairdresser. 1, Firstly, Put deep wave pre bonded hair extensions Auburn, hair extension heat connector, Fine tooth Comb and some clips in place. Then switch on your heat connector. 2, Next, Divide the hair into some small sections. Use a comb to make one section of hair on top of the head to horseshoe shape, encompassing all the hair in the bangs and crown area. Using clips to Twist the hair and clip it out. Then, pin sideburns in front of the ears. 3, Around the nape of the neck, make a clear hairline by Leaving a 1.5cm section of loose hair. Above this loose hair, divide the rest hair into some rows of hair on which you would like to apply your pre bonded hair extension. 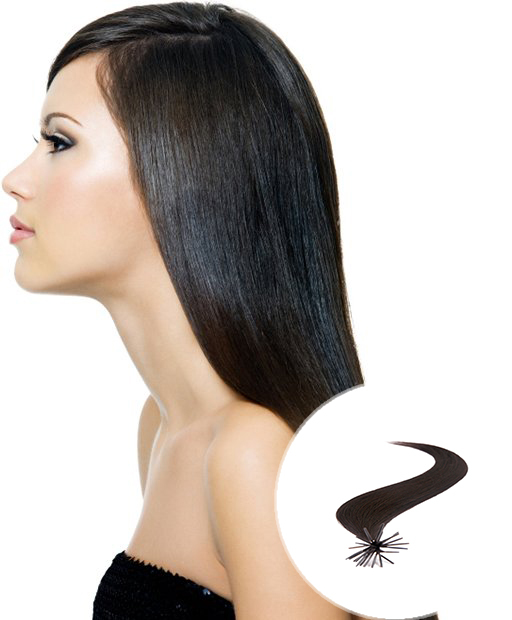 4, Select strands of hair in sections that are roughly equal to half the size of the glue tip. Then position it underneath the hair you have separated, about 1 cm below the scalp. Put extension bond into the groove of the heat connector. Close the heat connector and hold for a few seconds to melt the glue into your hair strands. 5, Remove the heat connector, then gently roll the fused glue tip around the hair strand to make a cylinder as it become cool. 6, Finally, repeat the application down the row by selecting sections of hair strands. Make the extensions around 1 inch apart from one another. Once complete, unclip the next row of hair and continue adding the extensions to the hair by repeating above steps, until all rows are completed. 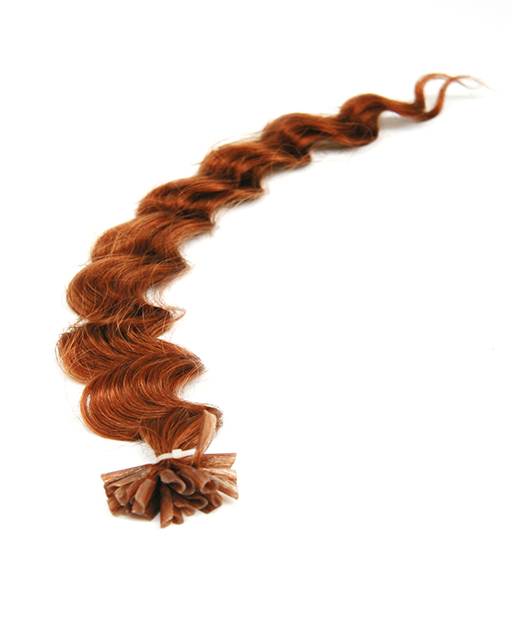 In addition, Deep Wave Pre Bonded Hair Extensions Strawberry Blonde is a good choices for people who want blonde hair.